Pick up at in the morning from the pier to reach Lucca in about 1 hour drive. Once in Lucca, among the attractions not to be missed, the church of San Michele in Foro, the church of San Giovanni e Reparata and the famous Cathedral of San Martino which chapel, built by Matthew Civitali holds the sculpture of the Holy Face. An last but not least, certainly one of the features that make the city of Lucca unique in the world, Torre Guinigi: 44 metres high with a magnificent oak planted on its summit. Very romantic walk will be over the ancient walls nowadays become a green park, enjoying the beautiful landscape of a city and of the many towers that stand out on the horizon of what once was a defensive fortification but now retains the charm to keep intact the heart of a beautiful Medieval city. Free time for visits and for your lunch, our driver will suggest a good restaurant located in the heart of the old city. Today, the Leaning Tower of Pisa has become a symbol for the entire Italian Republic and after intense restoration has finally reopened to visitors. Free time at your own. In the late afternoon we’ll start the journey back to la Spezia port. 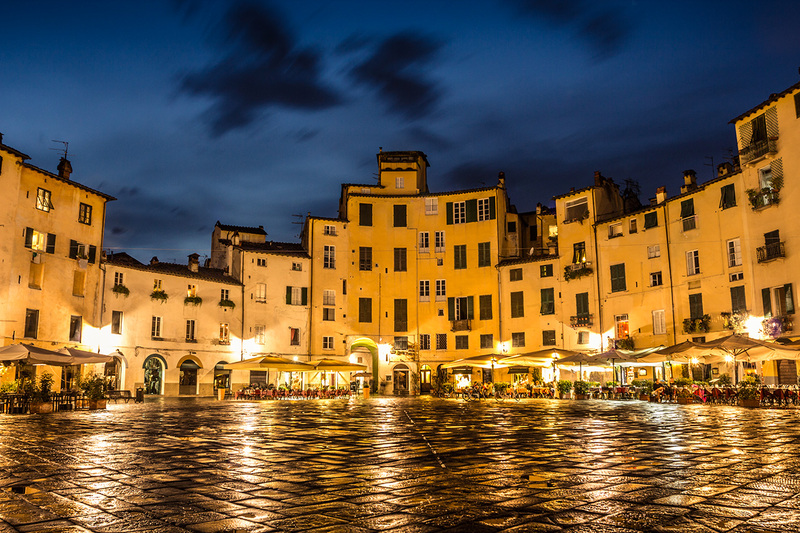 1.If you want is possible to visit outside of Lucca an historical winery and have lunch.